Prints of an original painting of Scarista, Isle Of Harris, Hebrides, Scotland. An original abstract, atmospheric seascape painting of Scarista, Isle of Harris, Scottish Western Isles. Original box canvas painting has now sold. A range of print sizes and formats now available. 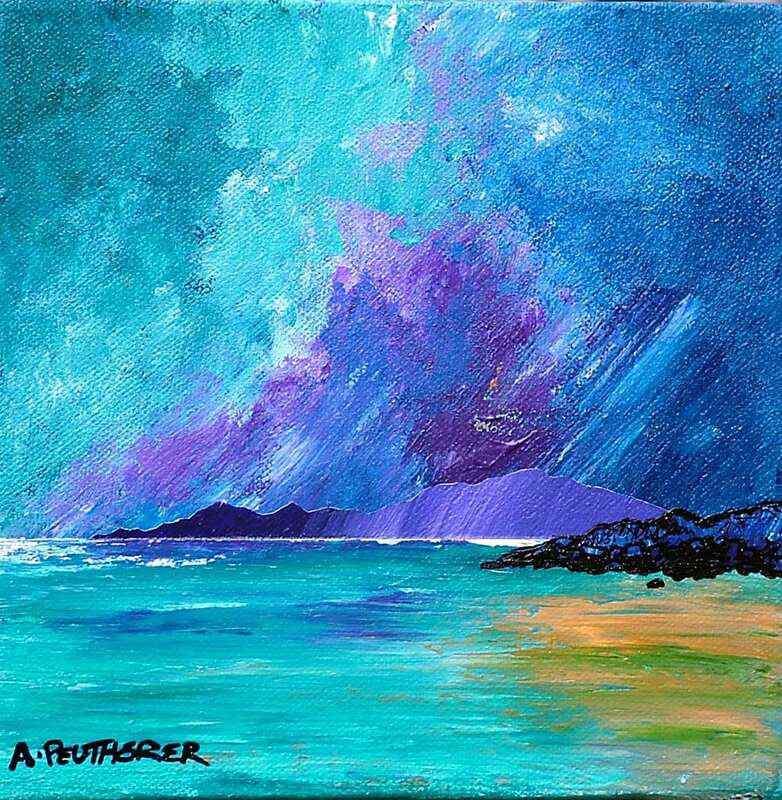 Scarista, Isle Of Harris, Scottish Western Isles by Scottish landscape painter Andy Peutherer.